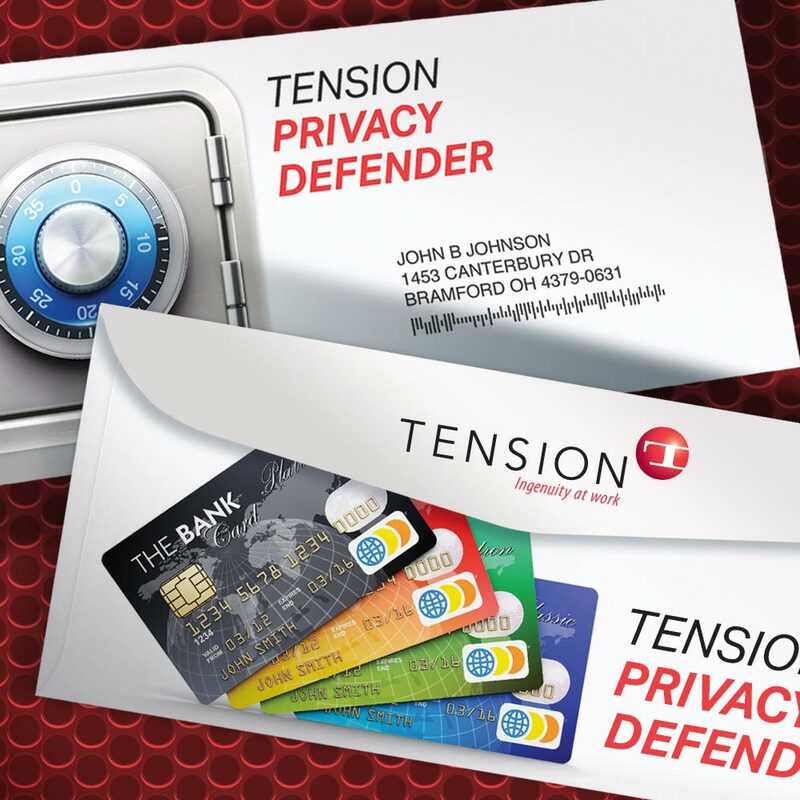 Tension introduces the newest additions to its line of quality products—Privacy Defender envelope and sleeves. Designed to shield contactless smart cards from unauthorized access at any point during the mailing process, Privacy Defender envelope and sleeves help provide another layer of protection against theft and privacy breaches in the mailstream. Made from a field-tested paper, the Privacy Defender products use a multi-ply laminate paper that limits the flow of RF energy. It is FIPS approved, as well as tear- and water-resistant. Privacy Defender sleeves can be retained for use in wallets and purses for ongoing protection. In addition to the security and protection benefits offered, the envelope provides a lightweight solution for mailers. This may reduce the impact on postal costs, especially for those experiencing the costly process of moving to new cards. In addition, a high-quality printable surface allows companies to promote and uphold their brand image through advertising or other printed information on the envelope exterior. To learn more about the Privacy Defender envelope visit http://tensionenvelope.com/envelope-products/special-features-and-papers/privacy-defender-envelopes-sleeves. Tension Corporation, a privately owned and operated company based in Kansas City, Missouri, is a global leader in envelope products and packaging & automation solutions. The envelope division serves a wide variety of industries including financial, insurance and direct marketing, as well as working with third party providers directly. Founded in 1886, Tension produces billions of envelopes annually and has regional plants and offices throughout the country and the world. Visit www.tensionenvelope.com for more information.